LATHAM — Millions of tiny wheels have made countless laps around Guptill’s Roller Skating Arena. Up to four generations of families have made that happen, making Guptill’s one of the last thriving long-standing family-owned businesses in the Capital District. Guptill’s is an icon in the Capital District. The rink itself is the same oak that was put down when doors first opened in 1951. When you walk through the doors, 1950s-inspired lights and decorations greet you. Guptill’s father, Skip, has always maintained the retro feel of the rink, only updating the “guts,” if you will, of the rink to keep up with the changing times. This includes the sound system, light show machines and most importantly, the music that is played. Guptill’s was just a roller rink until 1979. As disco began seeping into American radio waves in the late 1970s, the family saw an opportunity to expand their entertainment empire. In 1979, dance club Secrets was opened, along with a video gaming room. Like the rink, the dance club was alcohol-free and supplemented with impressive light shows and an impressive playlist. 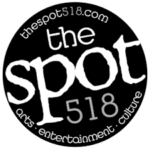 Guptill explained the dance club, now a teen hotspot, was originally for adults. “It became a destination for those 18 to 21 years old around 1985,” he explained. “When the drinking age was raised in 1985 to 21, many people were shut out of the places they were planning to attend. The dance club became a place they could go and dance, hang out with friends and have a night out.” Guptill added the evolution of the dance club’s primary audience has shifted as the generations have gotten older. Guptill continued the rink has always been for all ages. While the dance club has evolved with the times, the rink has faced the revival and death of fads like roller skating and rollerblading. One thing has not changed for the family, though — regardless of what wheels people put on their feet, they would come to Guptill’s. The iconic hard-wood floor has been maintained every single day since the business opened. Every day, staff members clean and patch up any minor scuffs the floor might have gotten from skaters. Once a year, the entire floor is refinished, slathering a fresh coat of polish across the three rinks. “It’s hard work, but it keeps things authentic and maintains the Americana of the business,” Guptill said. The indoor rink, which is broken up into three areas, occupies a record-breaking 44,000 sq. ft. The main rink alone is 36,000 sq. ft., with the beginner’s rink and kiddie rink cumulatively totaling the other 8,000 sq. 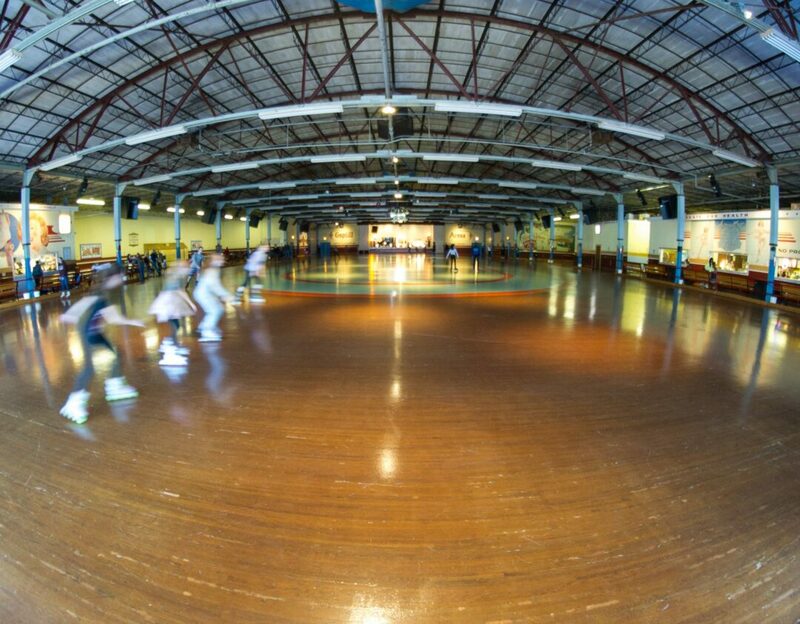 ft. Because of the impressive size, Guptill’s is not just the biggest indoor roller rink in the country, but in the world. It wasn’t planned to be that way, though, and the Guptills did not seek out the record-breaking title. That all changed in the 1970s when representatives from Guinness Book of World Records visited the family in Latham. They had heard about the large rink and were impressed. “They asked us for the blueprints because they wanted definitive proof the dimensions were,” Guptill recalled. “They didn’t lie down tape measures and start hatching out measurements. “Sure enough, we received the world record for the biggest indoor rink in the world,” he continued, adding the world record has been fantastic for business. The success is only expounded by the adjacent ice cream stand that opened in 1995, which is now known as the Capital District’s ice cream stand, he said. The family’s drive for quality in everything it does has resulted in Guptill’s Coney Express becoming synonymous with the area’s love for ice cream. Today, the business is doing as well as it ever has, Guptill explained. He credits this to the resurgence of parents and children wanting to participate in a physical activity instead of sitting around and dawdling on technology. “Skating is a participatory sport because you can skate up to someone and ask to do a lap together, or you can meet your friends and skate in a group,” he said. “It’s not like bowling, another sport of the ’50s where it’s really a more independent sport. “People want to make memories that will last a lifetime,” Guptill continued. “We have couples who come in and tell us they met here. We have lifelong friends who come in and tell us their friendship was sparked on this rink. Those great memories will be passed down to the next generations, who will make their own memories and continue the cycle.” Guptill added the rink has now almost lasted four generations.